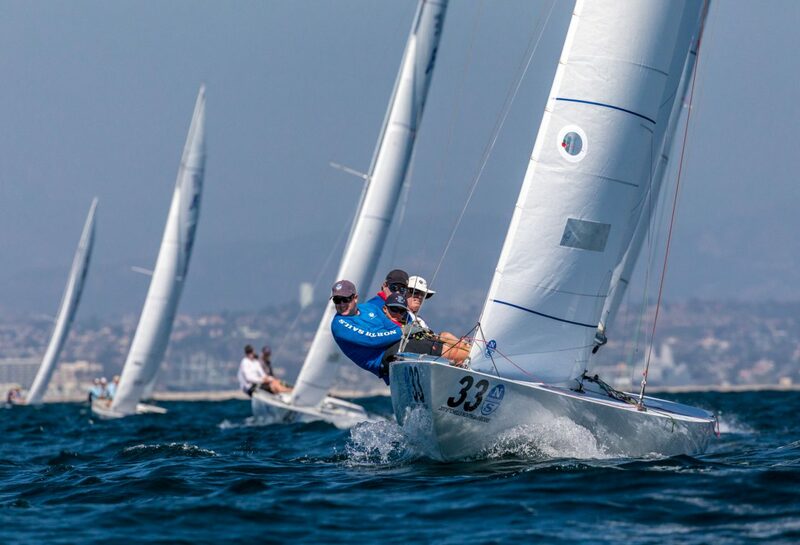 Twenty nine teams including World champions, Olympic medallists, America’s Cup sailors and many other talented sailors, raced in typical Southern California light-medium conditions for the Etchells 2017 North American title. With such a high level of the talent, there was no better place to tune-up and prepare for the World Championship in San Francisco next month. The top teams used the North Sails PC-F mainsail, LM-2L and LM-2H jibs and VMG and Full Radial spinnakers. Congratulations to Scott Kaufman and team American Jane 11, the 2017 North American Champions, and Keith Whittemore for winning the Corinthian division! Heading to the Worlds in San Francisco? Contact our experts today for the fastest Etchells sails.